The Malaysian government said it has prolonged its 2016 moratorium on bauxite mining until year-end as large stockpiles of the aluminum-making raw material remain uncleared. "The moratorium is until Dec. 31, as there is still half a million [metric] tons of [bauxite] stockpiled at the ports," a spokesman for the Ministry of Water, Land and Natural Resources said on Tuesday (31/07). 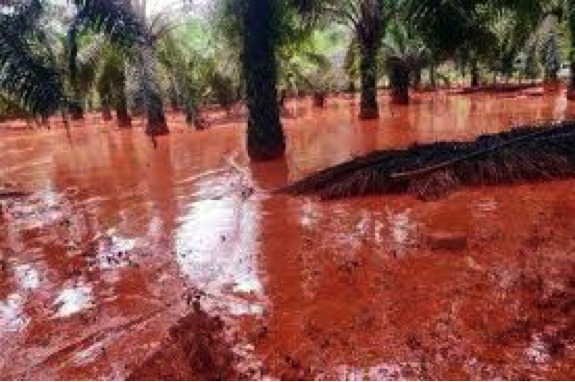 Malaysia was once the biggest supplier of bauxite to top buyer China, but unregulated mining and run-offs from unsecured stockpiles in the eastern state of Pahang contaminated water sources, turning roads, rivers and coastal waters red. This led to a ban on all bauxite mining activity since early 2016. Malaysia was briefly the largest bauxite supplier to China, with shipments peaking at nearly 3.5 million tons a month at the end of 2015 as miners rushed to fill a supply gap that opened up after neighboring Indonesia banned ore exports. Wan Junaidi Tuanku Jaafar, the former natural resources and environment minister, estimated in March that there were still 10 million tons of uncleared bauxite stockpiled in the state.